25 Jan 19 - Source: Myanmar Times - The first dry port in Mandalay Region to transport goods by container has opened in Myitnge, Amarapura township, making the movement of products to and from the city easier and cheaper, according to Transport and Communications Minister U Thant Sin Maung. "We have been left behind for 30 years in carrying goods by containers. Only if we can transport goods from trucks to trains, from trains to cargo ships, can costs be reduced," he said at an opening ceremony for the facility on Wednesday. The dry port is part of the November 13 inter-governmental agreements to construct dry ports along Asian railway routes under the auspices of the United Nations' Economic and Social Commission for Asia and the Pacific. 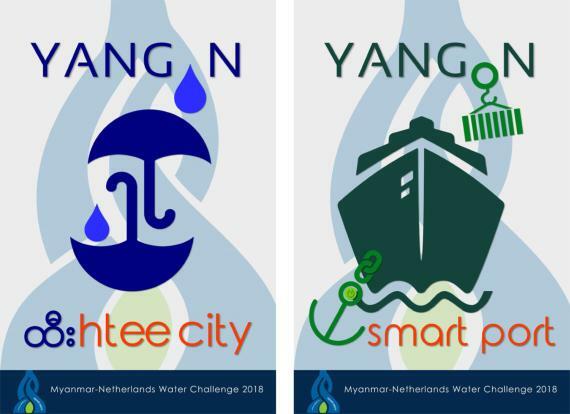 Under the agreements, Myanmar will have eight dry ports – in Yangon, Mandalay, Tamu, Muse, Mawlamyine, Bago, Monywa and Pyay. Only the Yangon and Mandalay dry ports have been completed. "The country will develop quicker if distribution and transportation of goods is improved. The first step is to be able to transport with containers. Now businesses only want to move their goods with containers," U Thant Sin Maung said. 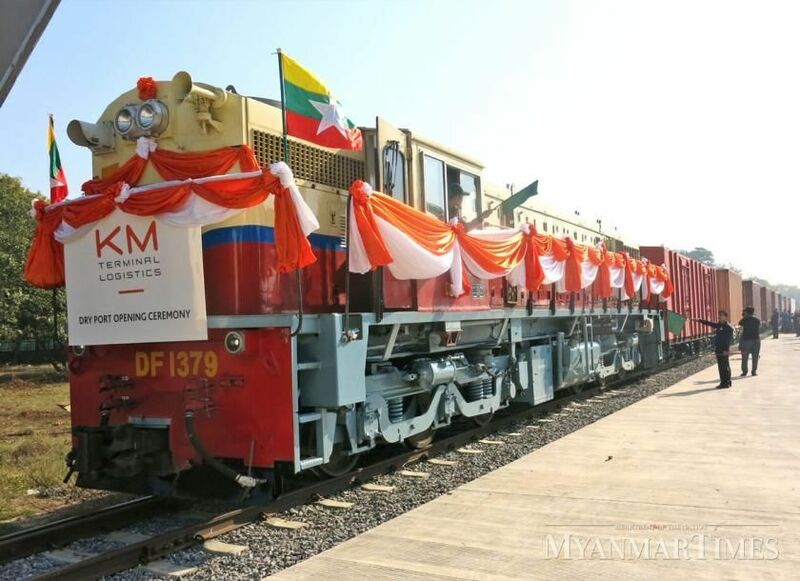 Myanma Railways allowed local and foreign companies to submit bids for the dry-port projects on department-owned land in Myitnge town and Ywathagyi town in Yangon. KM Terminal Logistics won the tender in 2017 to build the dry port on 30.4 hectares (75 acres) in Myitnge. U Aung Myint Naing, general manager for economic development of Myanma Railways, said the dry ports must be in the capitals of states and regions and must be easily connected to Asian highways, industrial zones and production areas. U Nyi Htut, general manager of KM Terminal Logistics, said Myitnge dry port will be able to quickly move agricultural products from upper Myanmar to ships. It will also be used to store imported goods in Mandalay, and to provide one-stop service for distribution across the country. "Although a truck can carry only a limited amount of cargo, a train can load up to 19 containers per trip with guarantees not to damage the cargo and on-time arrival," he said. Mandalay is a centre for transportation with roads leading to Tamu near India, Muse near China, and Tachileik near Thailand. The dry port can help propel the region's development, said Regional Minister for Transportation and Electricity U Zarni Aung. "Transportation costs make up 30 percent of commodity prices. If reduced, it will make commodities cheaper. The port would also support safe, reliable and affordable transportation," he said.